So I was going to write about the great writer’s weekend I just went on, but when I came home I saw my limes were ripe! Now the reason this is so exciting is that I have been nurturing these limes for almost two years! Seattle is not the ideal climate, of course, but I love the smell of citrus blossoming. So in May of 2015, I bought a baby lime tree. It blossomed indoors (ah, heaven), then a few teeny tiny bumps replaced the blossoms. I put it on the deck for the summer. 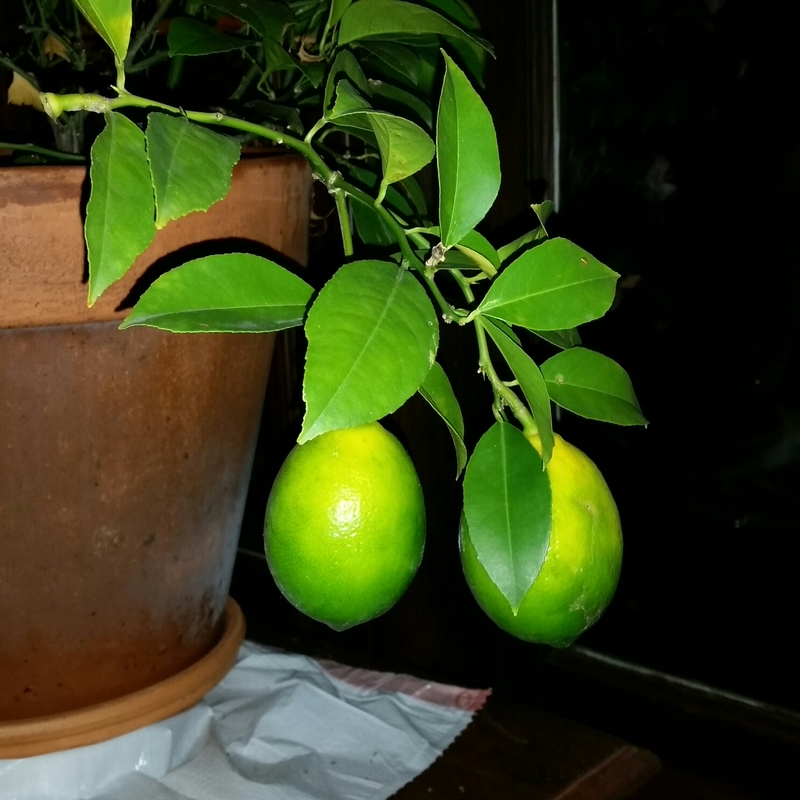 It thrived, grew big, but those few limes were miniscule and hard. Back indoors for the winter. It bloomed again (swoon) and a few more baby limes popped out. Last year’s were growing still, but sloowwllyy. This summer they all got bigger but I hesitated to pick them. They still felt like rocks. Back inside two weekends ago when the hurricane was threatening. This morning I saw gorgeous, just turning yellow, perfectly ripe beauties. 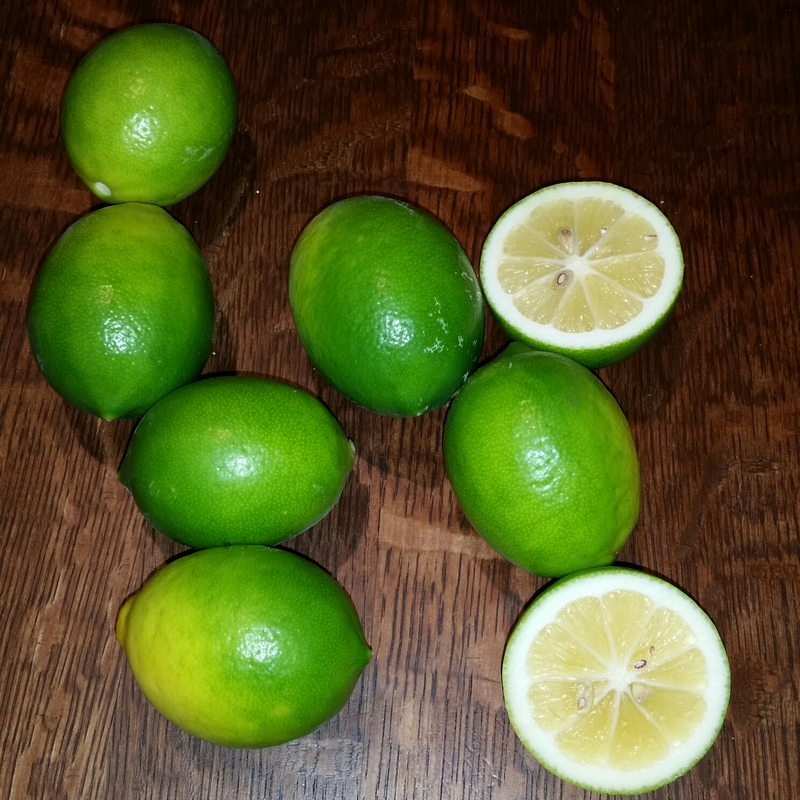 2 years, $20, a couple of priceless fragrant days and 8 perfect limes. Planning to make some limeade & vodka & sit near the new blossoms on my sweet distracting little tree.